One of our members sent in this photo of a mushrooms cluster he encountered on a foray in Bragg Creek. The cap is 4 cm in diameter and the stalk is 12 cm long and 1 cm thick. It was growing in moss in a pine / spruce forest. Unfortunately, it didn’t provide a spore print when the member tried to get one. Here was the response from Martin Osis, past president and one of our highly experienced members. 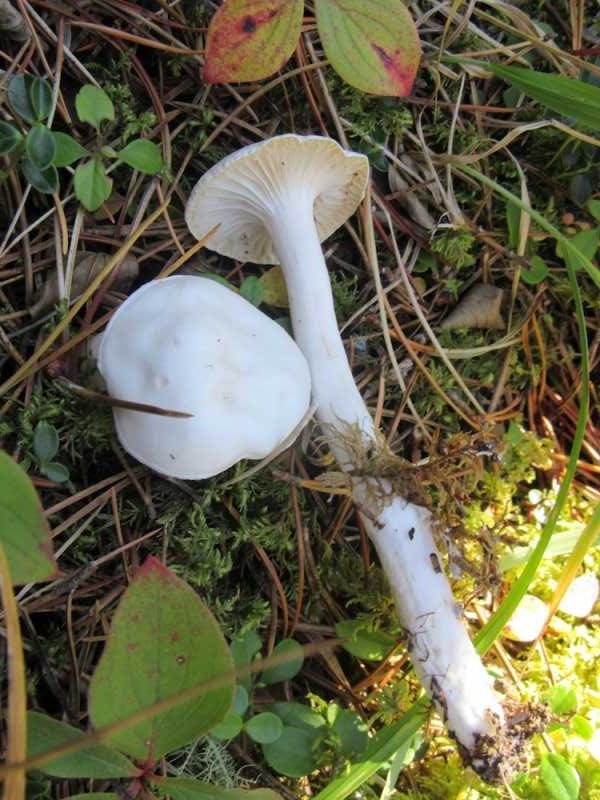 “There are a big group of white hygrophorus that are very difficult. Likely several of the same species have different names or a combination of older and newer names, some from newer publications others from older ones. Some of the characteristics that need defining are; slimy cap or not, slimy stalk of not, whether they have any hues of yellow, exact host trees, colour of the gills in age (some stay all white, some turn slightly pinkish, some turn a bit beige or yellow. So, because things like sliminess disappear, you usually need a good collection of several species in different stages to see these characters. If you google Pacific Northwest Key council, they have a fairly good Key though it is more focused on mushrooms from across the Alberta border and will have a bunch of mushrooms we don’t have but maybe not have all that we do have.